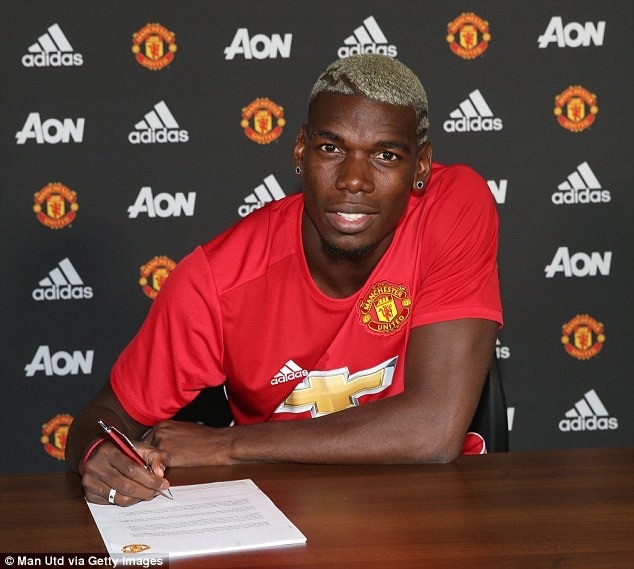 Paul Pogba is now the highest-paid player in the English Premier League, after his world-record move to Manchester United. The 23-year-old midfielder, who has signed a five-year deal with the Old Trafford outfit, will earn £290,000 a week. It is a huge jump from £65,000 a week his agent, Mino Raiola, demanded from the club in 2012, before he left for Juventus. At that time, Sir Alex Ferguson was alarmed by such demands for a young player, who only made seven first-team appearances - all as a substitute. Pogba will now earn more than United captain, Wayne Rooney and fellow summer arrival, Zlatan Ibrahimovic. Manchester dominates the top 10 earners in the EPL, with City having Sergio Aguero, Yaya Toure, David Silva and Raheem Sterling. Arsenal's Mesut Ozil and Eden Hazard of Chelsea also make the list.